In this connection, I would advise all the readers, not to apply the red book remedies at their own. Red book remedies should be applied under the guidance of expert of Red Book. 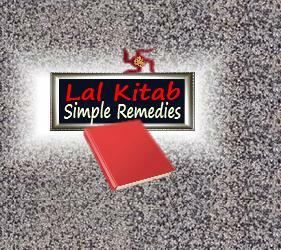 As everybody knows that Red book remedies are well famous for their rapid/quick action/result. But it may cause both good or bad results. It depends upon the right diagnose of remedies according to horoscope. So please be noted that single one wrong remedy can cause big harm to your life. So unless you are not sure about the right selection, don't apply it at your own.